Special Design:Towel with hood ,thick towel, very quality bathrobe! Perfect Gift: the ideal gift for new parents, baby showers or birthdays! Unique appearance:Exquisite cartoon shape makes your baby look more cute. Can be hugged by blankets, sleeping bags, bath towels. A multi-purpose, very value! ! 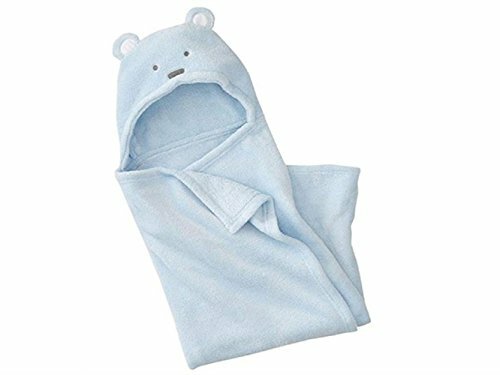 Soft to the touch, good warmth Little bear hooded blanket, velvety soft, this lovely blanket has a cute hat and ears. Promotes healthy skin and activates blood circulation and makes the skin smooth.